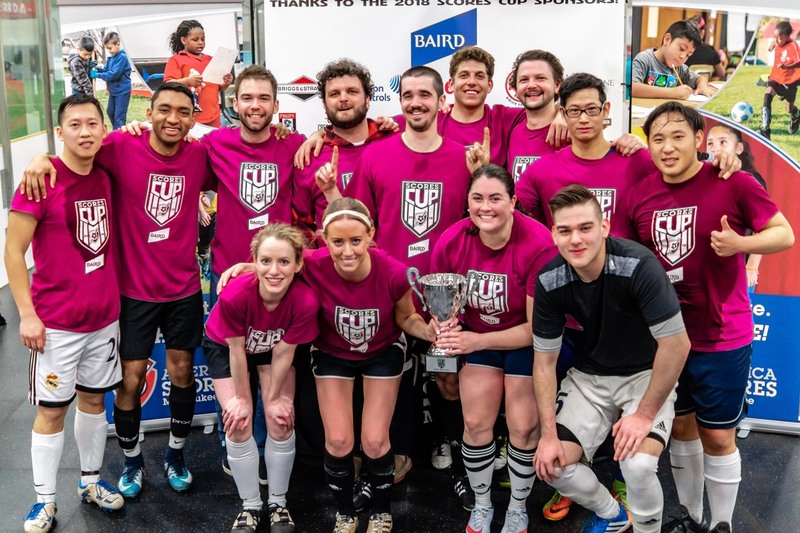 The annual SCORES CUP is a charity indoor soccer tournament that brings together soccer players, coworkers, and friends for an exciting evening of soccer. 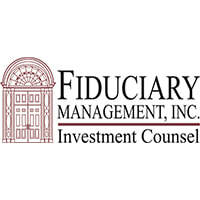 Whether you’re interested in playing for the prestigious CUP, or just for fun, is up to you. Either way, your participation helps Milwaukee youth participate in meaningful programming during the high-risk after school hours. 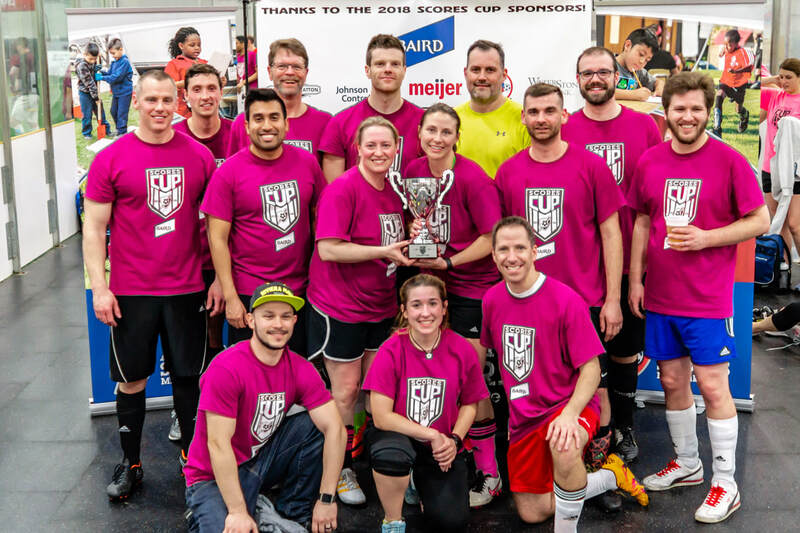 With all proceeds benefiting children in Milwaukee’s urban neighborhoods, the SCORES CUP is a great way for you and your organization to support the community. LaFollette Bracket Champion - MGS Mfg. 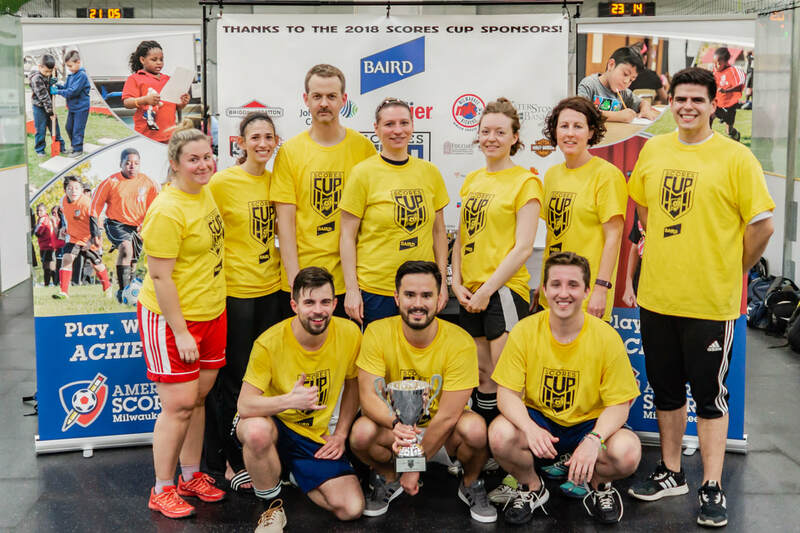 Stay up to date with SCORES programming and future events by following our twitter page. You can also see all team pictures on our facebook page.